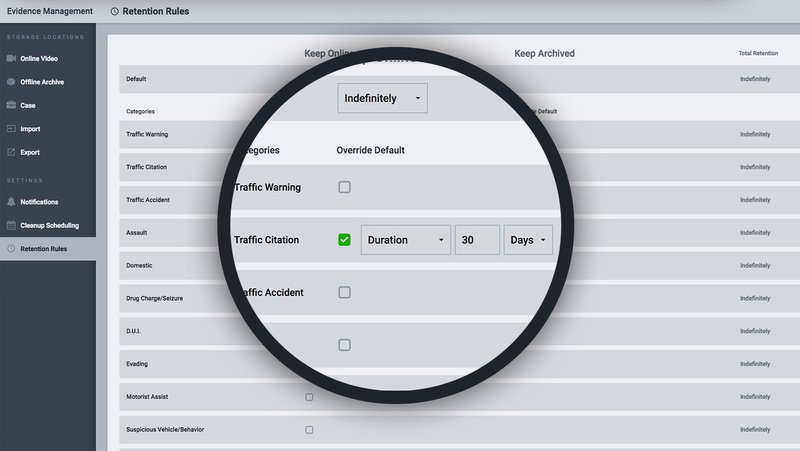 Automatically migrate recorded events across tiers of local and cloud storage devices to optimize cost and performance. Setting up tiers of storage devices and automating when video evidence files, or events, move from one tier to another is quick and easy. 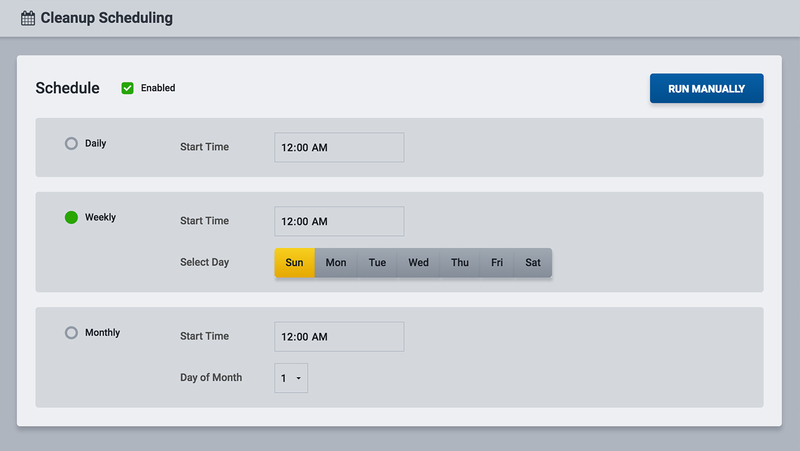 Configure the time (days, years) an event will stay in one tier before moving to the next using a simple dropdown menu. 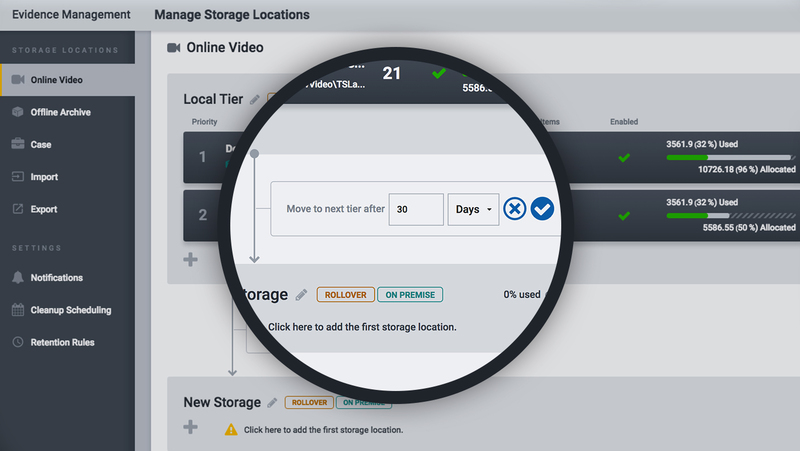 Retention rules are configured for each event category, determining how long the video will be available before long-term archival or removal. Once set, the retention rules will automatically apply to all current and future uploaded events. Scheduled Clean-Up uses retention rules set for each event category to mark the file for removal. The officer or Evidence Manager simply chooses when (day and time) the scheduled clean-up should run. Optionally, a clean-up can be started manually if the need arises.